Dota 6.62 Bug | Dota Allstars 6.62 Empty Bottle Expoit. Yes there is a bug in Dota-Allstars 6.62. You can have unlimited/infinite bottle charges without going fountain or by storing a rune just by using this bug, It can be easily reproduced with any hero. This Dota 6.62 bug is game breaking and abuse-able bug. You can see the video of Dota 6.62 Empty bottle bug. • Buy a Teleport and an Empty Bottle. • Move away from base and use all the charges of your bottle. • Now Teleport into fountain. • Use waypoints function immediately by using Shift+Click the bottle to the fountain while teleporting. • You will have infinite bottle charges. Just point the target to your bottle to refill it. IceForg will probably release Dota 6.62b to fix this game-breaking bug. So wait some time until the new map comes. Enjoy using this bug in game until it gets fixed in the upcoming version. now need some KILLING SPREE!! You have posted only 1 bug above... I have encountered about 5-6 bugs in this map and reported them to Icefrog... this bottle bug is kinda imba for nukers like nerubian assassin etc.. and i hope that icecfrog will release dota 6.62b soon..
@ L337H4X0R: Wouldn't you mind sharing the other bugs you have faced ^^? I would suggest IceFrog to take some more extra time for testing after making the map so there will be a less chance for these bugs. how to change warcraft theme and get lina background like in that video? Why fkin bugs everytime? cant icefrog release a stable map? Anybody knows another bugs or exploits please share it and write here.. This site is the best!!!!! I know bug with Centaur.. I loled at this bug. How to get a custom background like lina ? How The Bugs Formed?....and what is the reason why bugs encountered? 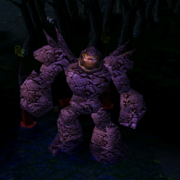 and about the bugs i encountered 2 bugs in 61b it is darkseer i after the lvl 3 wall of replecation i wonder that there is so many hereos replicated...so the map was full of illussions of hereos..